Mater draw 267 is now finished, there is now a new prize home, Mater draw 282. Which is a brand new home valued at $1,874,814. Ticket's do sell fast, so be sure to get in quickly! The ultimate waterfront home and lifestyle await you when you join Draw 267 of the Mater Prize Home Lottery! If you are the lucky winner of this draw, you get to own the keys to a fully furnished and elegantly decorated Hope Island Home. And it does not end there! The winner also get to take home additional prizes like gold bullion and a sports boat, among many others! Do not miss your incredible chance to win these prizes. Buy your ticket or tickets now to enter the draw! 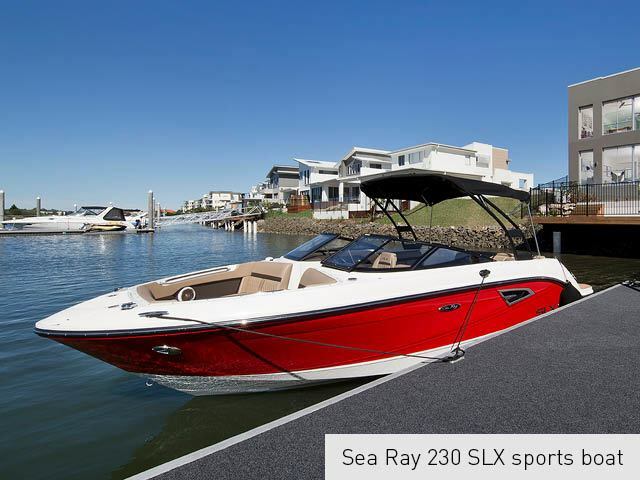 First Prize Valued at $1.9 Million – Prize Home + Gold Bullion + Sports Boat + Jet Ski + Water Sports Equipment and Travel Voucher! 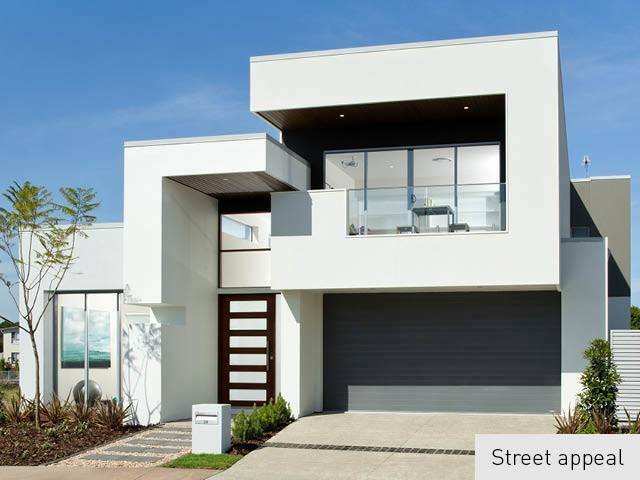 When you join the latest Mater Prize Home lottery, you get to win multiple, incredible prizes. You get to live in your dream waterfront home and enjoy the best that Hope Island has to offer. You don’t have to drive your car to move around town. Take your new sports boat and avoid traffic while enjoying the wonderful canal views. 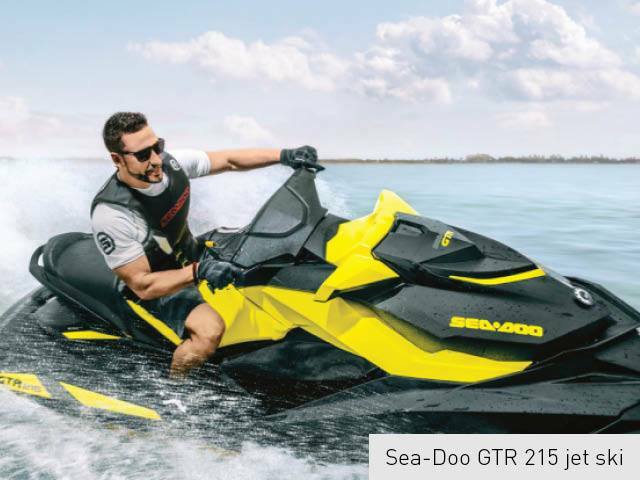 You also get to own a jet ski along with a water sports equipment to complete your water adventures! 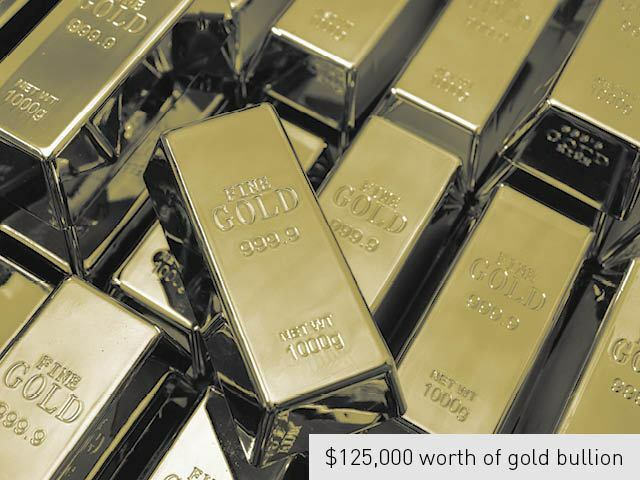 The winner of this draw is truly lucky for they get to take home gold bullion worth $125,000! All you need to do is buy your tickets and enter the draw to get the chance to win all these prizes. TOTAL FIRST PRIZE VALUE: $1,900,506! Who wouldn’t want to live on an island named Hope? Just think of how you can turn your dreams and wishes into reality in your new home! Once you move into this house, you will feel as if you are on a vacation for the rest of your life. In the heart of Hope Island, you will find the latest million-dollar Mater Prize home. Become the winner and get to embrace the tranquillity that comes with being surrounded by serene water vistas and lush, green parklands. 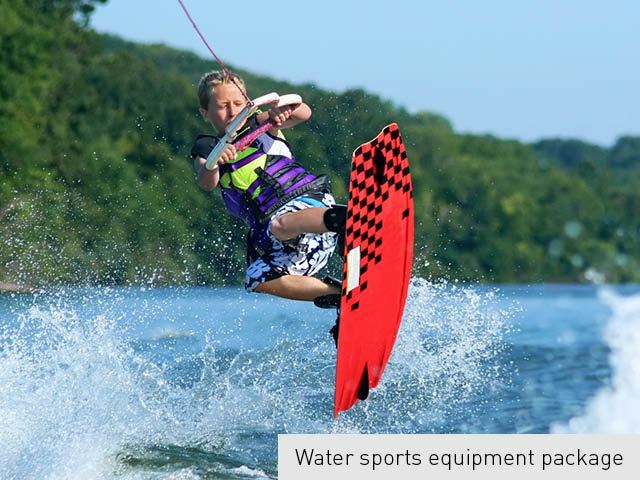 There is a reason why this prize package comes with a host of exciting water sports toys for you to enjoy. Your beautiful home comes with your very own pontoon so you can fully experience the ultimate waterfront house lifestyle. You can explore the stunning open waterways on your very own sports boat. What more can a water-loving enthusiast want? You will also have a taste of paradise with the prize home’s sparkling swimming pool. With this wonderful addition, your home becomes a luxury resort hideaway. Just picture this… your summer days spent splashing around the pool or relaxing in the lounge with a drink in hand and soaking up the stunning canal views. As if the expansive wooden deck wasn’t enough. 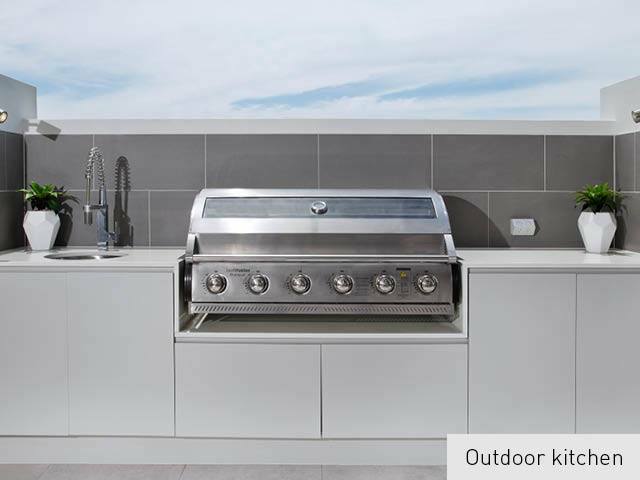 You will definitely throw winning barbeque parties in your tiled alfresco entertaining area and outdoor kitchen. With seamless indoor-outdoor flow from both the kitchen and living areas to your outdoor dining table, you can enjoy an evening dinner party while taking in the million-dollar views. This truly is a life of luxury. Step inside your spacious, modern kitchen featuring ample-sized stone benchtops, gas cooktop and oven, storage galore and a huge walk-in pantry. 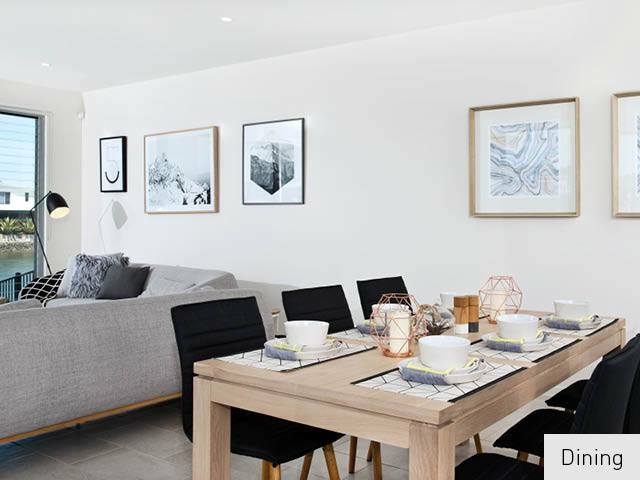 Walking through to your sleek dining area will make you think that you’ve stepped into a glossy home magazine! The superior detail and finishing of the luxurious kitchen and dining space are truly spectacular. Right beside your spacious deck is your Scandinavian-inspired living room. Just by looking at the features of this space, you will know that it will undoubtedly become the popular place to sit back, relax and unwind at the end of the day. With views out to the water, flat-screen TV and stylish furnishings, this room is nothing short of luxurious. And your entertainment space does not end there! 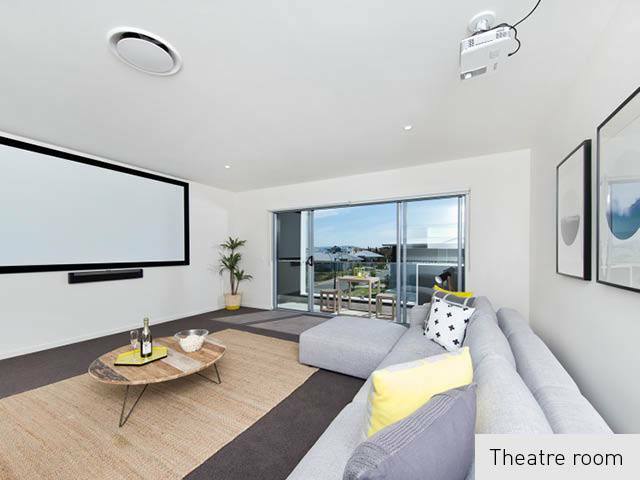 You have a separate theatre room which has been expertly designed to make the most beautiful space perfect for relaxing, watching TV or hosting a movie night with friends. This media room is sure to be a hit with the whole family! Utilising state-of-the-art home theatre technology, this room will make you feel like a celebrity at a movie premiere! As soon as you walk into the master bedroom, you can’t help but be transfixed with the spectacular view of the canal. Boasting a huge robe and glamorous ensuite, this bedroom really is a little oasis where you can unwind, relax and soak up the tranquillity of Hope Island. 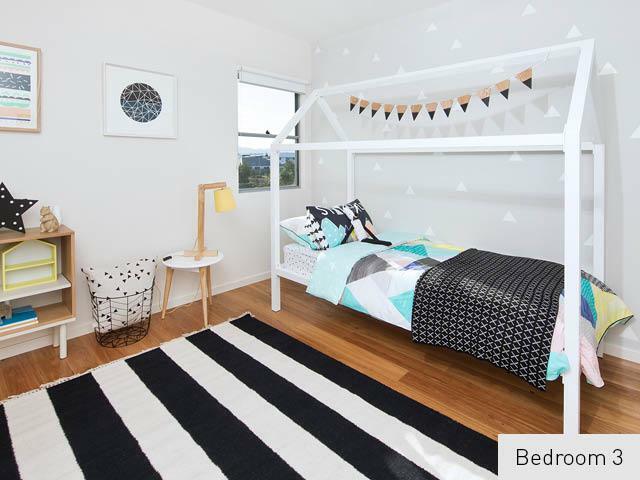 There’s also a second bedroom as well as a kids bedroom. 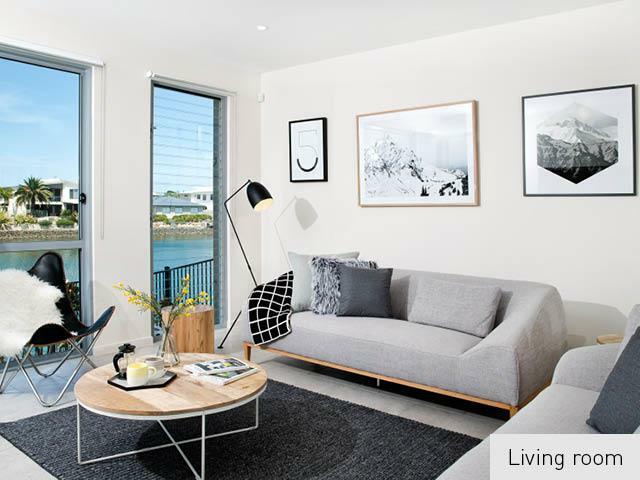 With the stylish and versatile designs of the aforementioned rooms, you will definitely feel the luxury and comfort right inside your very own waterfront home. You are free to visit the prize home for Mater Draw 267 from 9AM to 5PM EST daily from Tuesday 23 August 2016 until Wednesday 26 October 2016. However, do note that on Wednesday 26 October, the home will only be open until 2PM. 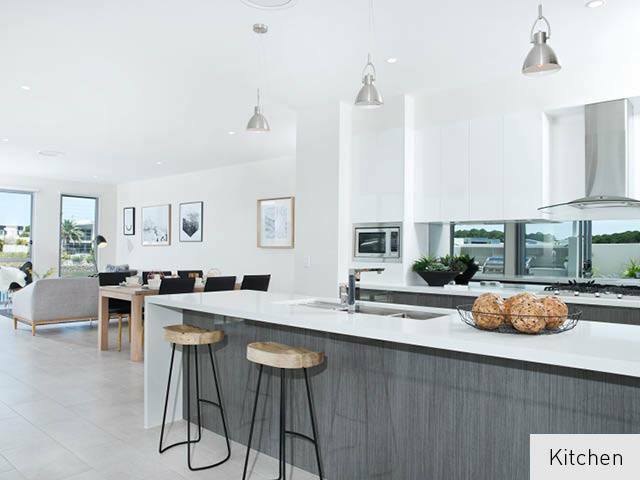 When you buy a ticket or tickets for Draw 267 of Mater Prize Home Lottery, you are giving yourself the chance to own the keys to a wonderful waterfront home in the Gold Coast. Considered as a prized jewel of Queensland, the Gold Coast is one of the most popular tourist destinations in Australia. It is known for the fantastic and luxurious lifestyle it offers. That is why it is not surprising to see home builders flocking the area to build dream homes that anyone would love to live in. 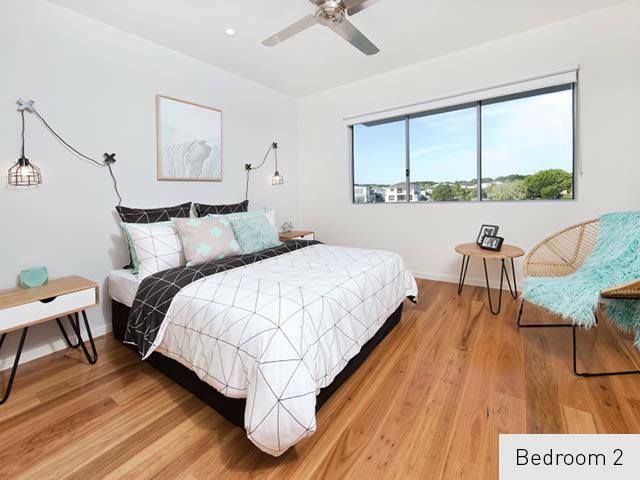 If Lady Luck is on your side, you will get to experience all the great things that the Gold Coast has to offer – relaxing beach w3alks, high-class shopping, world-acclaimed fishing and award-winning dining options. All these are within your easy access! 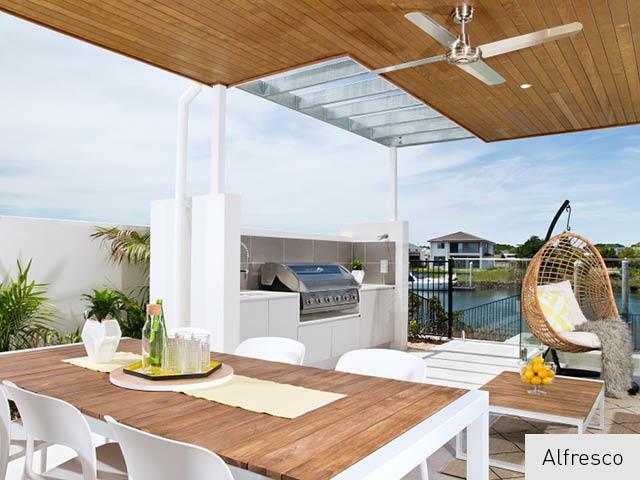 Hope Island – a tranquil suburb located on the Gold Coast. 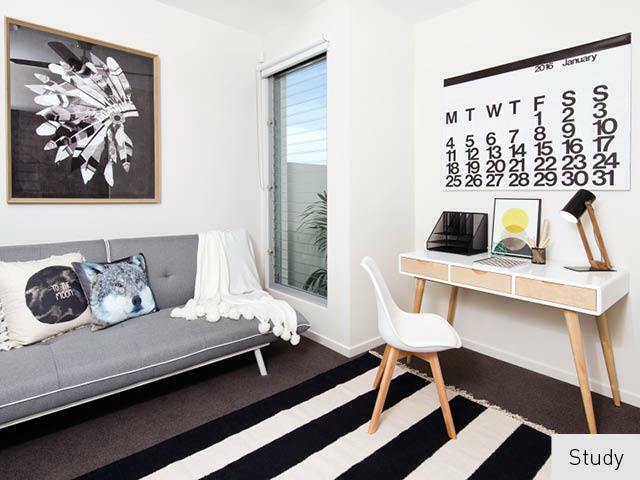 Merely an hour away from Brisbane City, this community promises a laidback yet luxurious lifestyle. Hope Island boasts of a wealth of marinas, shops, restaurants and schools. Moreover, it is located close to golf courses and other recreational establishments. 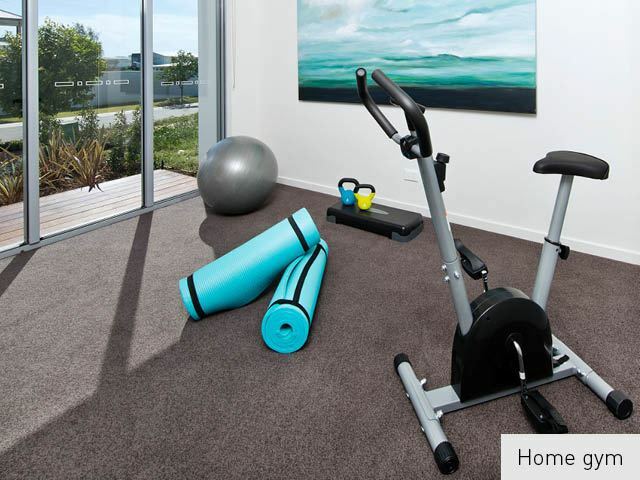 You will own a house that is just minutes away from Hope Island Shopping Centre. You can do all your shopping in this mall as it features 19 specialty stores, including gourmet food shops, homewares, boutique fashion, cafes and fantastic waterfront restaurants. You can spend your weekends with your family at the Warner Brothers Movie World amusement park. Choose from a selection of exciting, themed rides! Your kids will have fun at the Main Street Parade, waving at their favourite Looney Tunes characters. Enjoy a unique Land Down Under entertainment when you watch the aerial performances and death-defying stunts at the Australian Outback Spectacular. You know how summers can become increasingly hot! Beat the heat and bring your family to the Wet n’ Wild water park. There are plenty of water-themed attractions for you and the entire family – Whirlpool Springs for mum and dad, Wet N’ Wild Junior for the kids, Giant Wave Pool for the teens and Calypso Beach for the whole family. You can now turn golf as a pastime because there are a number of courses close to your home – The Pines Golf Course, The Palms Golf Course, Hope Island Golf Club and Sanctuary Golf and Country Club. If you ever get tired of swimming in your own pool, you can relax at the top hotels and resorts in the Gold Coast. 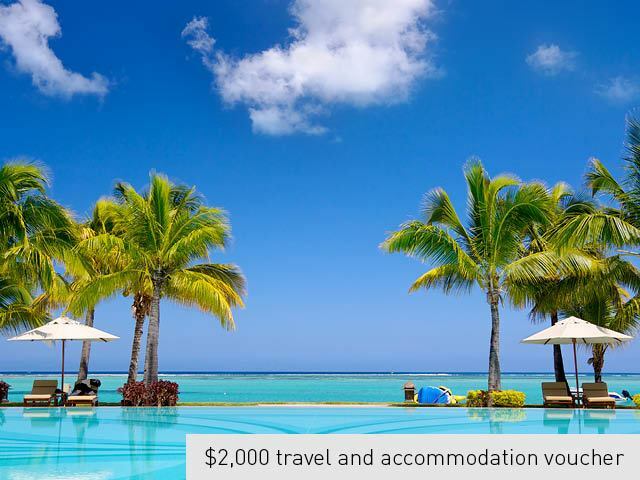 Hope Island, for one, is a popular vacation place so you will definitely not run out of hotel and resort accommodation options. Purchase Your Tickets for Mater Draw 267! As we all know, the more tickets you buy, the more chances you have of winning the spectacular prize home package. But with Mater lotteries, you also get to win bonus prizes! Among the ticket choices below, the most popular is the $30 book option. You get 25 chances to win and if you are the lucky first prize winner, you also get $35,000 in gold bullion! On the other hand, you might want the $25 book option which gives you a spanking new car. This means that if you win the first prize, you will have water and land vehicles! But the best value comes with the $100 book. You get 100 chances of winning and as a bonus prize, you will own a car worth $60,000! Are you ready to take this wonderful opportunity? 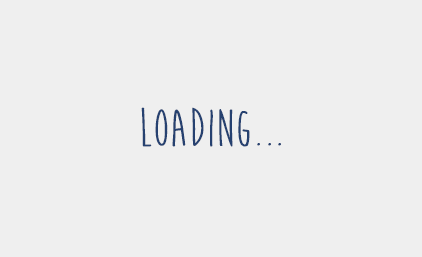 Click the BUY YOUR TICKETS NOW button to join the draw! 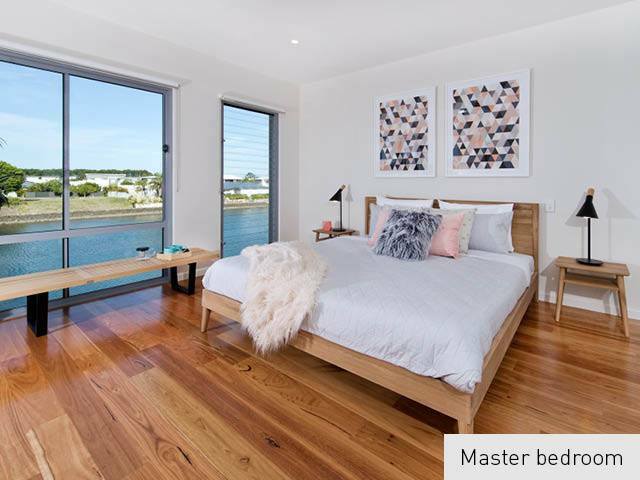 When you buy a ticket or tickets for the Mater Prize Home Lotteries, you are not just giving yourself the wonderful opportunity of winning a waterfront home. You are also supporting Mater Foundation’s noble causes. Your ticket purchases give babies the best possible start in life. Mater helps over 2,000 premature and seriously ill babies in their first weeks of life. Part of the funds gathered from ticket sales go to support the Mater Medical Research Institute and Mater Health Services clinical care, education and research. While you are gaining the chance to win a spectacular waterfront home along with the bonus prizes that come with it, you are helping babies get the medical services that they need. Mater draw 267 is now finished, there is now a new prize home, Mater draw 282. Which is a brand new home valued at $1,874,814. Take a look!